About Shenzhen Well.D Medical Electronics Co., Ltd.
Shenzhen Well.D Medical Electronics Co., Ltd. is a manufacturer and supplier of medical ultrasound products and solutions, such as color Doppler systems and ultrasonic diagnostic systems in trolley and palm size. Its products range also includes various accessories, such as adaptors, metallic cases, wrist packs, neck packs, carry bags, trolleys, car chargers, mouse devices, and ultrasound gels. 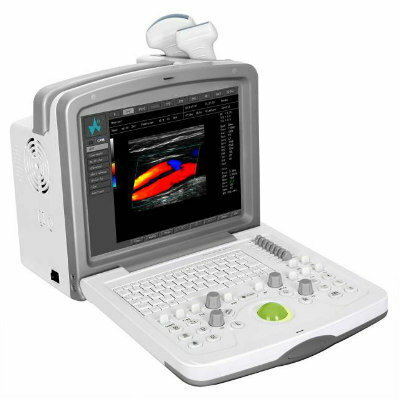 The FDC6000 is a full-digital color ultrasound Doppler diagnostic system featuring advanced technology, modern ergonomic design, stellar image quality, high blood sensitivity and extensive probe adaptation capability. It can meet the varied needs of clinical diagnosis of abdomen, obstetrics, gynecology, cardiology, small organs, superficial blood vessels, musculoskeletal, ophthalmology, anesthesiology, urology, neurosurgery and other specialist clinics.